← Sermon Notes for 2 Peter Part 8 – The Scoffers Are Coming! 2 Peter Pt. 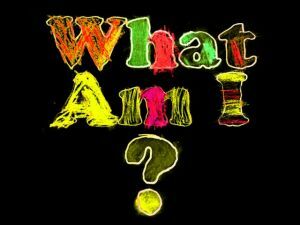 9 – Sermon Notes / What Am I? His readers then, and the Church at large will never hear from him again. We began our study in this short letter by rehearsing some of the last words of famous people throughout history. And for the most part, we saw a pretty sad record of the emptiness and despair that fills the hearts and minds of those dying outside of Christ. History tells us Peter was martyred in Rome around 64 CE. So this letter must have been written just a short time before since in 1:14 Peter remarks that he is soon to die. Ch. 1 – Reminding Believers of fullness of their salvation – The FOUNDATIONS upon which they stand and live. Ch 2 – The warning against FALSE TEACHERS coming into the Church. How to recognize them and what kind of damage they can do. Ch. 3 – This final appeal to keep the promised FUTURE of the Believer as a controlling, clarifying and stabilizing concept at the forefront of our thinking at all times. Indeed, history is replete with the tragedy of lives lived with no thought for God’s coming judgment, what it means in terms of our own limited lifespans, and what comes after. In more recent times we have this horrid example in the Aug. 2013 obituary of Marianne Theresa Johnson-Reddick – penned by one of her daughters: “born Jan 4, 1935 and died alone on Aug. 30, 2013. She is survived by her 6 of 8 children whom she spent her lifetime torturing in every way possible. While she neglected and abused her small children, she refused to allow anyone else to care or show compassion towards them. When they became adults she stalked and tortured anyone they dared to love. Everyone she met, adult or child was tortured by her cruelty and exposure to violence, criminal activity, vulgarity, and hatred of the gentle or kind human spirit. So Peter asks this very penetrating question of his readers in this closing portion in 3:11 – Since all these things are thus to be dissolved, what sort of people ought you to be in lives of holiness and godliness, 12 waiting for and hastening the coming of the day of God, because of which the heavens will be set on fire and dissolved, and the heavenly bodies will melt as they burn! 13 But according to his promise we are waiting for new heavens and a new earth in which righteousness dwells. How does living in the light of Christ’s return and all that surrounds it inform how we ought to live our lives now? MORE – How does it inform what sort of PEOPLE we ought to be? So – am I pursuing holiness and godliness? If not, then what AM I pursuing? Or perhaps, I am like the old yarn – “those who aim at nothing always hit it” – and truth be told, I am aiming at nothing beyond getting through the day. Or maybe getting to kick back in retirement. Not just expecting, but inwardly yearning and striving for it. Hastening doesn’t mean we can make it happen faster, but it DOES mean we WANT IT to happen as fast as it can! Living in eager EXPECTATION for judgment! Eager expectation of an existence where righteousness is the prevailing reality. To be perfectly honest – some professing Christians aren’t all that excited about the New Heaven and New Earth because they are not all that excited about giving up certain sins they enjoy now. They love an entertainment based culture & lifestyle. They want self-government. To be completely their own boss. They want a life built around present earthly joys and comforts. And a world where righteousness is all there is sounds – BORING! They haven’t had enough of sin and its ugliness and its results yet. So we come back to Peter’s first point then – are we THAT kind of people? If we are not – then we really need to ask ourselves whether or not we are really in the faith at all? If we know so little of the coming Kingdom and desire it so little; if we have so little love for Christ, and, have so little hatred of sin and its effects – are we saved? Do we have any idea that this New Heavens and New Earth wherein righteousness dwells – is what we are saved FOR? Or is it all a distant fairy tale, with no real impact on how we live at all here and now? This is a PROBING portion for sure! One of the ways in which this mindset manifests itself most explicitly is in our prayer lives. Do we have the priorities of Christ at the top of our list? Do we burn with desire that reverence for the Father’s name and reputation be restored in all the universe? Do we really want His absolute rule and Kingdom to come and overthrow all the kingdoms of this World – so that He rules and reigns in pure holiness and righteousness? Do we really want His will to be done on earth as it is in Heaven – right now? Or are we more interested in Him answering our shallow wants and needs? But Peter assumes better of his readers then, even as I do of you today while preaching this. And building off that assumption – Peter then lays out the “what if” – of those who are truly Christ’s and do indeed have their eager sights set on a sin being judged and the New Heavens and New Earth. Be resting in the finished work of Christ – and living in the reality of having been cleansed from sin by the blood of the Lamb. Also: Be at all-out war with sin in your life. Be about the business of challenging sinful acts and attitudes as part of your day-to-day lifestyle. Doing all you can by the Word and the power of the Spirit to ridding yourself of every spot or blemish of sin. II. and [be] at peace. Live at peace with Him in Christ, and with His people. And resting in the assurance of His unfailing promises. III. 15 And count the patience of our Lord as salvation, just as our beloved brother Paul also wrote to you according to the wisdom given him, 16 as he does in all his letters when he speaks in them of these matters. There are some things in them that are hard to understand, which the ignorant and unstable twist to their own destruction, as they do the other Scriptures. Don’t allow yourself to be discouraged in the intervening years as though it won’t come to pass. Be convinced that the Lord delays His coming out of perfect wisdom and love and compassion. Yes, there are some mysteries in this. No, we cannot nail down all the details and lots of people have erred in doing so – making it seem like God has not kept true to His Word. But understand that His timing is the just what it is, because of His desire to save abundantly, and not in small measure. IV. 17 You therefore, beloved, knowing this beforehand, take care that you are not carried away with the error of lawless people and lose your own stability. Don’t get derailed by the false teachers and the worsening state of human culture. Don’t let the values of those who do not serve Christ and revere His Word infect your own morality and distort the Biblical vision of how the world – how life – works. Don’t let the fact that at times it looks as though sin is winning the war, lure you into its grip – destabilizing you from trusting God and His Word. V. 18 But grow in the grace and knowledge of our Lord and Savior Jesus Christ. Don’t stop feeding your hearts on His Word, so that grace is magnified continually in your heart and mind. Don’t stop striving after taking on more and more of the character of Christ by the Spirit. Grow in your understanding of all that it is Christ Jesus is, and all that He has done, and is doing on your behalf, and has promised to complete. Keep to these, and the repeated exclamation of your own heart and mind will be the same as Peter’s: To him be the glory both now and to the day of eternity. Amen. 1. What is missing in Peter’s letter? No mention of how to change their circumstances. None. Everything is directed at how they will change IN their circumstances – by growing in the knowledge of Christ. 2. What kind of person I am needs to be understood over and above merely what things I do or do not do. Am I on the path to being with Him in glory? Is being with Him for eternity really my aim? Am I consciously seeking to be increasingly conformed to His divine character by being informed in the Word, and transformed by the Spirit? Am I living as His agent in this present world – given over to His plans and purposes – or am I using religion and the name of Christ to get what I want out of this world?